206 Lower Lake Drive Merrillan, WI. | MLS# 1523370 | Clearview Realty in Hatfield Wisconsin. Helping Hunters, Families, and ATV'ers list or buy property for 15 years. Serving both Wisconsin & Minnesota. Cute & charming home right on the lake! 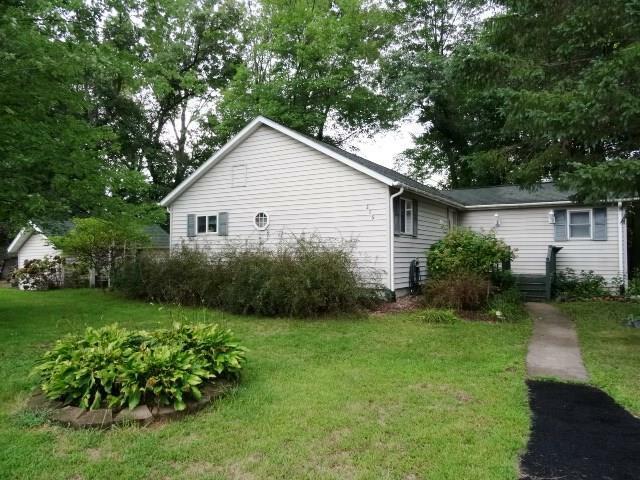 Currently set up as a 3 bedroom, this home features a wood burning fireplace in the living room and a nice sized kitchen with plenty of cabinets with a built in table. Laundry in the mud room, office space and a bonus room with vaulted ceilings and a sliding door to the backyard deck that overlooks your water frontage. Basement is accessible from the back of the house with plenty of storage space, great garden space in the front of the house with paved parking area by the house. Garden shed, suspended dock that doesn't freeze and break in the winter. Priced below fair market value.